Barcelona attacker, Malcom Filipe Silva de Oliveira has told the club he wants to leave in January. He asked the club manager, Ernesto Valverde to let him leave the club if he would continued being left out of the team, according to Mundo Deportivo. The player, who is unhappy at the club, is being closely monitored by Arsenal, Tottenham and Inter Milan. The Brazilian joined the Catalan outfit in a £36.5million-deal over the summer after Spanish giants hijacked Roma’s transfer at the last minute. The Brazilian has played just 25 minutes of action since moving to Camp Nou, and is yet to start a match for his new club. Mundo Deportivo reports that the player came back from international duty with Brazil and immediately asked for a meeting with Valverde in which he made it clear that he needs more playing time. 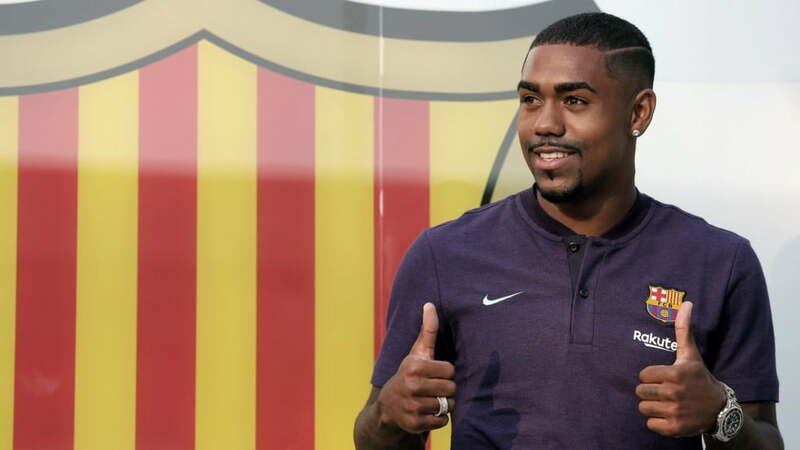 The Barca boss, however, told Malcom that he had been training well, behaving professionally and is simply not in the team because other players are ahead of him in the pecking order. Malcom, in response, requested that he be allowed to move to another club in January if the situation does not change. Hopefully, the player will start for the first time on Wednesday night in the Copa del Rey against Segunda Division B side, Cultural Leonesa.